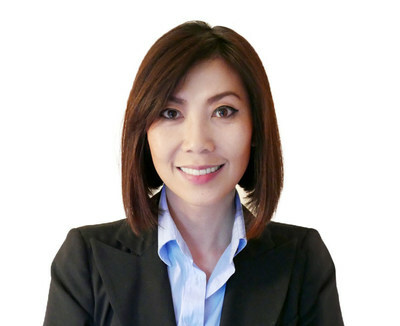 SINGAPORE, May 7, 2018 /PRNewswire/ -- AdRealm and UPLTV have appointed Mei Li-Berlit as general manager of the European Region, based in Düsseldorf, Germany. As part of its initiative to build a blockchain-driven digital advertising ecosystem, AdRealm has partnered with UPLTV, an AI-driven global ad mediation with over tens of millions of daily impressions served and that has helped thousands of mobile game titles improve their performance through optimizing user lifetime value. Li-Berlit will be leading Europe's business expansion as well as regional operations for both Adrealm and UPLTV. "We are pleased that Mei Li-Berlit has assumed the position of Europe GM for both businesses, she will be key to both UPLTV and AdRealm as we are seeing both innovation and blockchain rising in Europe," said Brian Xie, Chairman of AdRealm Foundation. "Along with leaders in our other key markets, Mei will further strengthen our efforts in reshaping the digital advertising supply chain. Her extensive experience in business management, strategy as well as media solutions will be a vital piece in our global vision. We're very excited for her to join us," said Xie. With Chinese roots, Li-Berlit holds a Diplom Ingenieur from RwtH Aachen and an MBA. Prior to joining, Li-Berlit has held leading roles at NTT Docomo (net mobile AG) as well as the Managing Director of Gold Kiwi Media, a subsidiary of net mobile AG, where she led sales, partnership and channel strategy for the company. She also owns 778mobile, a mobile innovation and solutions provider focused on content, online marketing and advertising for both B2B and B2C products. Li-Berlit's appointment is part of the larger global business expansion plans by UPLTV and AdRealm, where local office branch and teams have been established already in local markets such as Korea, Singapore, and Vietnam with more to come in the near future as product and business development kicks into high gear. AdRealm was founded to reshape the global digital advertising ecosystem through blockchain technology. Aimed at solving for problems that plague the industry, such as data fraud, data mobility, data leakage etc., AdRealm wishes to provide an environment regulated by code, thus ensuring a fair and open supply chain for all participants in the industry. AdRealm is currently working on its first demo product on the chain, which will be released early second half of 2018. UPLTV is a global mobile ad mediation that specializes in optimizing and forecasting customer lifetime value for mobile game developers and publishers. UPLTV is currently working with over 300 game developers and publishers to realize greater in-app monetization efficiency and in-game user experience, totaling over 30 million ad displays daily.